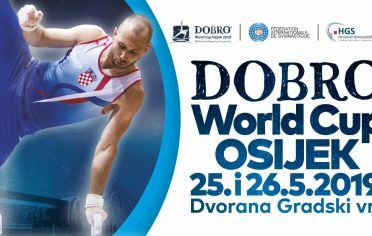 Less then a month before the beginning of the 10th edition of the World Gymnastics Cup in Osijek the Gymnastics club Osijek-Žito, as the main organizer of the DOBRO World Cup 2018, has decided to gather up the citizens of Osijek and promote this huge event at the city. – „I’m thrilled to see all of you gathered here, and I hope to see even more of you at the gym on May 26 and 27 at the DOBRO World Cup, at the biggest sports event in our city.“, said Robert, while the crowd was preparing for the training. The mascotte Gymi also was a quite active participant. Many sports clubs joined the outdoor training, such as FC Osijek, Water polo club Mursa, Aiki juts club Osijek, kindergarten Latica, and of course the host – Gymnastics club Osijek-Žito. Tomislav Marković, a long-time Croatian national team member and also a member of the Gymnastics club Osijek-Žito was there to support the event. The training led by Tihana Lujev, gymnastics coach at the Gymnastics club Osijek-Žito, went quite well. 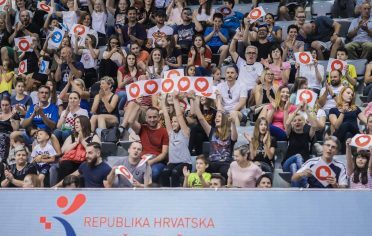 The event was supported by the general sponsor of the DOBRO World Cup, company Žito, alongside with their brand DOBRO, as well as the Central State Department for Sport who promoted the European Week of Sports with their slogan #BeActive. This outdoor training is only the first one in the line of events that will precede the 10th edition of the World Gymnastics Cup in Osijek. One of them is announced in Drvenpark as well. 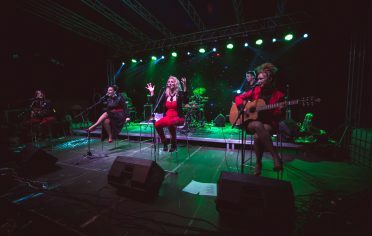 Namely, on May 12 at the Osijek’s Promenada, next to the Pedestrian bridge, the longest splits in the world will be seen in Osijek once again.